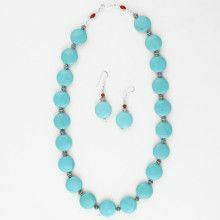 This hand crafted set includes a pair of turquoise earrings, and a beautiful turquoise necklace. 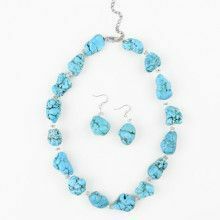 The stones have a width of Approximately 3/4". 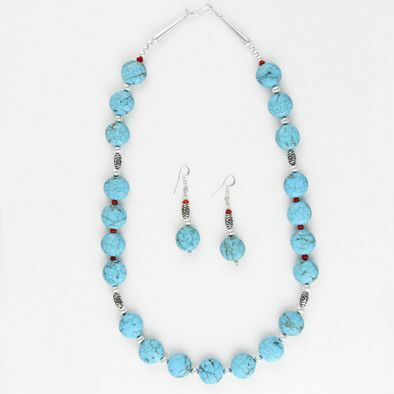 Both the earrings, and the necklace are beautifully accented by sterling silver. 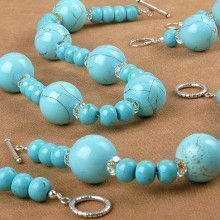 This is truly a great piece of turquoise jewelry. 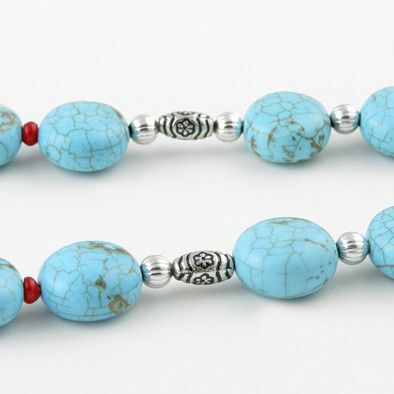 The turquoise beads are refined, and polished to perfection, but the stones themselves feature prominent examples of the "spider webbing" look, that is highly sought after in turquoise jewelry. 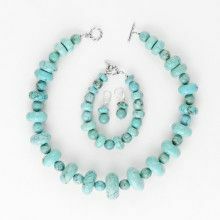 These patterns compliment the refined quality of the stones, and bring a more natural look into the set. 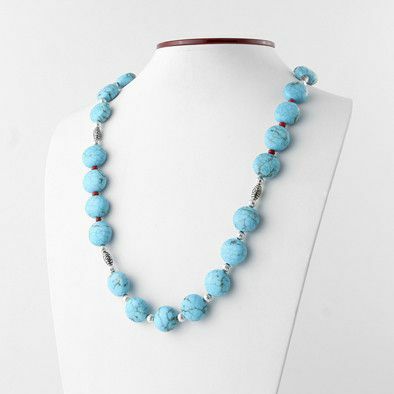 "Spider webbing" occurs when iron-oxide makes its way the turquoise stone when it is first forming. It creates mesmerizing beautiful patterns that really speak to the artistry that nature is capable of. 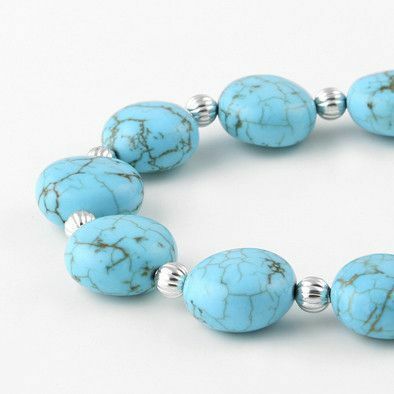 Just as many cultures believe turquoise to be a balancing stone, creating a balance between mind and body, man and nature, the earth and heavens, this stone perfectly blends a natural look with a more contemporary look to achieve a unique, and beautiful result. A great gift for a friend, loved one, or for yourself!